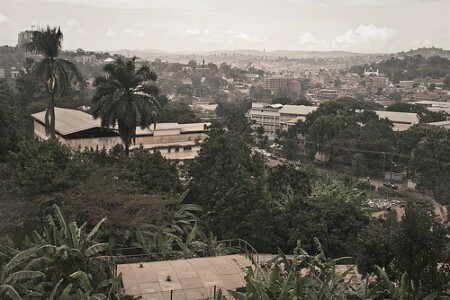 On Friday, the 14th of October, the State Department announced that the US was sending 100 military advisers to Uganda. Their purpose: to help African troops pursue the Lord’s Resistance Army (LRA) and its leader, Joseph Kony, whom the ICC accuses of 21 counts of war crimes and 12 counts of crimes against humanity. The deployment follows the unanimous passage and signing into law last year of legislation which makes it American policy to kill or capture Joseph Kony and defeat his army. As has been pointed out elsewhere, the media response to this move has ignored many of the key questions, instead focusing (for example) on whether it represents the “new interventionist attitude” of the so-called ‘foreign policy valkyries‘ in the Obama administration, or is merely the turning of another gear in the Global War on Terror. More locally informed analyses point to the recent discovery of oil as the reason for US interest in Uganda and highlight the inherent difficulty of the task of defeating Kony, which thousands of African troops have been unable to do for decades. Complicating the narrative that portrays the LRA leader as little more than a sadistic madman (which he certainly is), Kony is also a seasoned military campaigner with more than thirty years of experience in what is some of the toughest terrain in the world. And even if the 100 American military advisers did manage to help “kill or capture” him, this would presumably complicate his being brought to account for his crimes in either a Ugandan court or the Hague. Given the reaction to the killing of Bin Laden earlier this year, US audiences may not care much that Kony might never have his day in court. Of greater significance to them might be the growing relationship between the US and this troubled African nation. Earlier this summer, in our map feature based on Monica Toft’s article “The Case for Rebel Victory,” Uganda was the central case study in an argument about the relationship between how civil wars end and the prospects for long-term peace and stability in a country. According to Ms. Toft, in Uganda, at the end of the 1986 Lowero War, “war making institutions became peace-building institutions,” allowing Museveni’s victorious rebels to quickly build legitimacy by being able to maintain order and provide essential services. This Congressional Research Service report, prepared for the members and committees of the United States Congress, is a recent overview (April 2011) of current political conditions and the crisis in Northern Uganda. The report focuses on the political climate in Uganda following Museveni’s victory in February’s elections, the recent history of attempts to bring Kony and the LRA to justice in the North, and of US-Ugandan security and counter-terrorism cooperation. These two reports from the NGO Saferworld focus, respectively, on the influence of LRA activity on the marginalized Karamoja region of north-eastern Uganda (September 2010), and the literature on and history of efforts by foreign governments, NGOs, and the wider international community to bring relief to the area (March 2010). In February 2011, Anna Dunnin for ISN Insights identified ‘the good,’ ‘the bad,’ and ‘the ugly’ in US policy towards the LRA. In October 2010, Daniel Giacopelli profiled the LRA and the Ugandan government’s attempts to defeat it. In September 2009, Edoardo Totolo, for ISN Security Watch, wrote about regional cooperation among African governments to combat the LRA.